Felix is born to Tasila Lungu, 22, at the Chelstone Clinic in April 2009. Felix was exposed to HIV in utero. Ms. Lungu discovered she was HIV-positive during an antenatal check-up. Remembering her initial emotional response Ms. Lungu said: “So my child is going to be HIV-positive. I was even thinking to abort. I asked how the baby was going to live? That’s when I…. I even took the [traditional] medicine to drink to abort my son. And even today, when I’m looking at him, I’m not even free. I’m feeling that he knows that mommy was wanting to abort me”. Ms. Lungu dropped out of the eighth grade when she became pregnant. She planned to resume her studies after Felix was weaned, but a car accident injured her mother and killed several members of her family. Ms. Lungu’s mother was unable to care for Felix while she attended school. 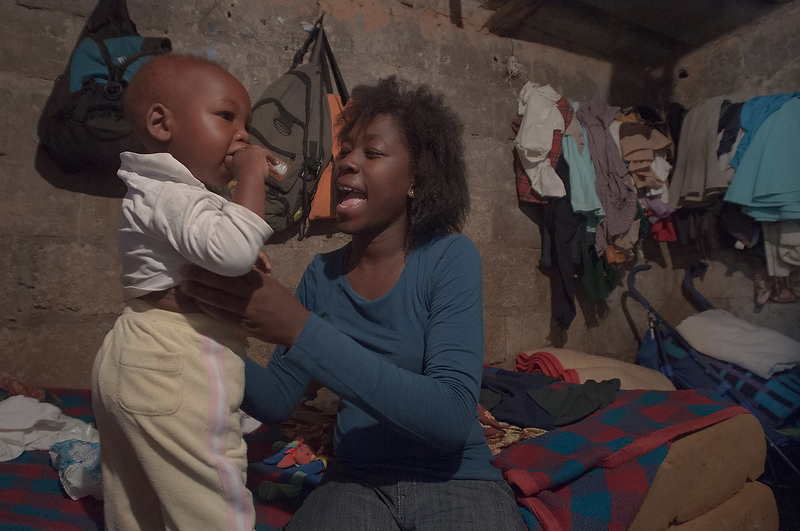 Ms. Lungu took a part-time job as a domestic worker to assist their family, but quit when her employer prohibited her from bringing Felix to work in order to breastfeed. Ms. Lungu hoped Felix’s father would participate in raising Felix. Ms. Lungu applied for a child support order from Felix’s father at court. The child support order was granted, obligating Felix’s father to send US $22 to Ms. Lungu each month. But he has not complied. As recommended Ms. Lungu exclusively breastfed Felix and he is tested after weaning and remains on prophylactic antibiotics for up to a year. Ms. Lungu speaks of the difficulties of weaning Felix at six months in a society where the norm is eighteen months or older: “There was just a meeting, there was a lot of people, the family of my mom, the family of my dad. There was no-one on my side. Only me and my child”. Ms. Lungu found work on a flower farm. Ms. Lungu’s parents care for Felix, and she visits him frequently. Felix’s father is not involved in their lives. Ms. Lungu rents a room with her fiancé, Nicholas, close to her workplace. Felix tested HIV-negative at 6 weeks and 12 months; the final test at 18 months confirms that he is free of the virus. Speaking of her experience of the PMTCT programme Ms. Lungu said: “I have followed the programme. It’s working, I’ve seen…. Don’t be lazy, and don’t be tired. The time will come when you are going to have a good rest…I’ve done it, my part. Even Felix, when he’s going to grow up, he’s not going to blame me for anything. He’s going to be happy, and he’s going to thank me. Mom, thank you very much for what you did in my life. Thank God to give me a strong mom like Tasila. Then I’d be very happy to hear my son talking like this”. April 2009: Midwife Regina Mutale ties the umbilical cord minutes after Felix is born to an exhausted Tasila Lungu, 22, at the Chelstone Clinic in Lusaka, Zambia. Felix was exposed to HIV in utero and will receive prophylactic ARVs. 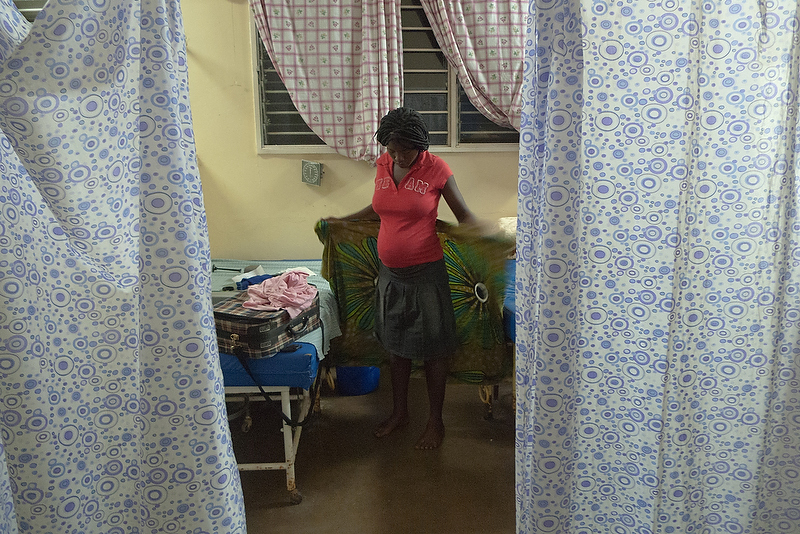 April 2009: Tasila Lungu gets dressed shortly after giving birth her son, Felix, in the maternity ward at the Chelstone Clinic. Ms. Lungu discovered she was HIV-positive during an antenatal check-up. 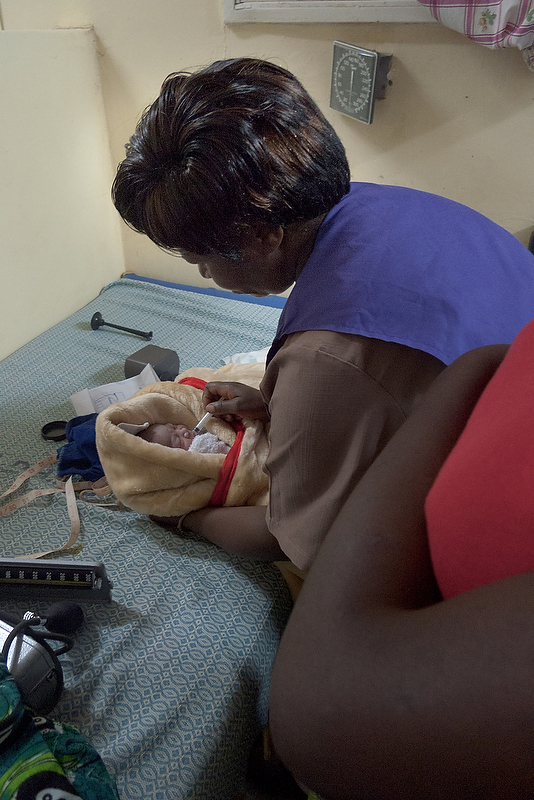 April 2009: Midwife Regina Mutale teaches Tasila Lungu how to administer prophylactic ARV medicine to her newborn baby, Felix, in the maternity ward of the Chelstone Clinic. Ms. Lungu must administer prophylactic ARVs to Felix on a daily basis. 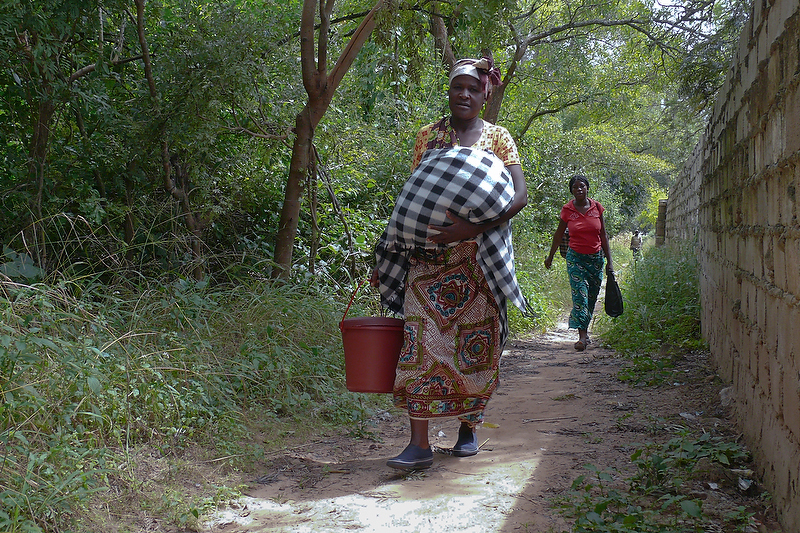 April 2009: Artness Lungu, carrying Felix, escorts her daughter Tasila and her one-day old son from the Chelstone Clinic to their family home in Lusaka. While Ms. Lungu lives at her family home she hopes Felix’s father will participate in raising Felix. May 2009: Tasila Lungu, her four-week-old son Felix in her lap, studies in her home in Lusaka. Ms. Lungu dropped out of the eighth grade when she became pregnant. She would like to return to the eighth grade and hopes to become a nurse. 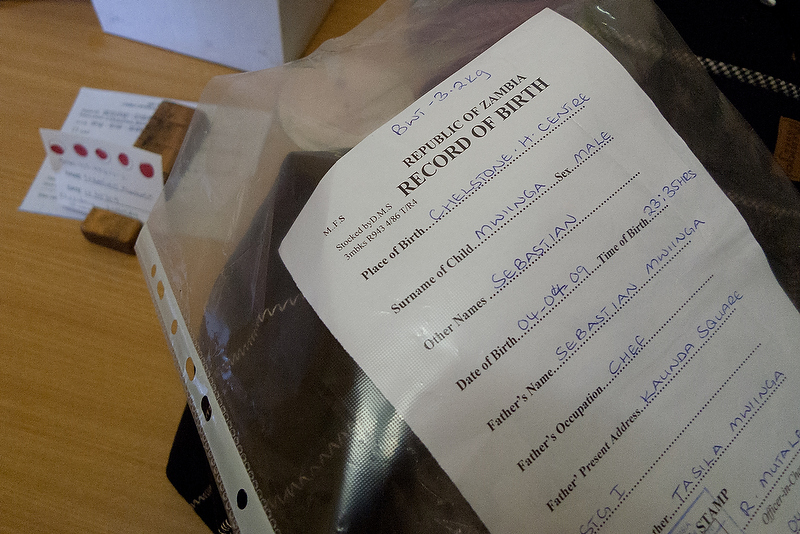 May 2009: A birth record for six-week-old Felix rests beside his blood sample in the Chelstone Clinic. As infants still possess antibodies from their mothers, Felix’s blood sample will be transported to a laboratory for a sophisticated test. 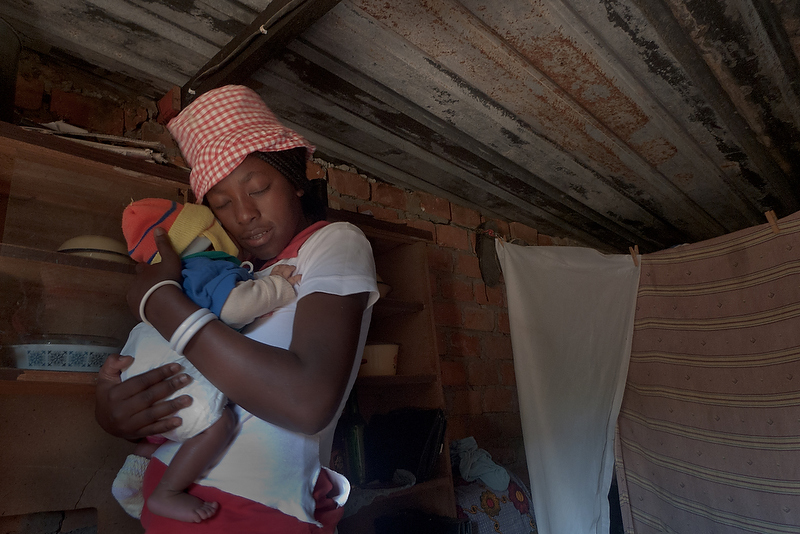 May 2009: Tasila Lungu cuddles her infant son, Felix, at their home on the outskirts of Lusaka. Felix is six weeks old and has just returned from the Chelstone Clinic where he tested HIV negative. 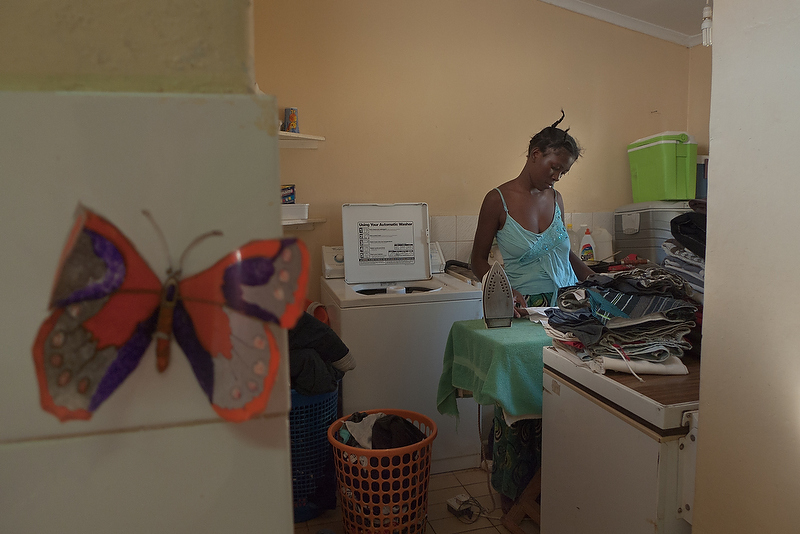 August 2009: Tasila Lungu irons clothes at the home of her domestic employer. Ms. Lungu planned to resume her studies after Felix was weaned, but a car accident injured her mother. Lacking childcare, Ms. Lungu was not able to return to school. 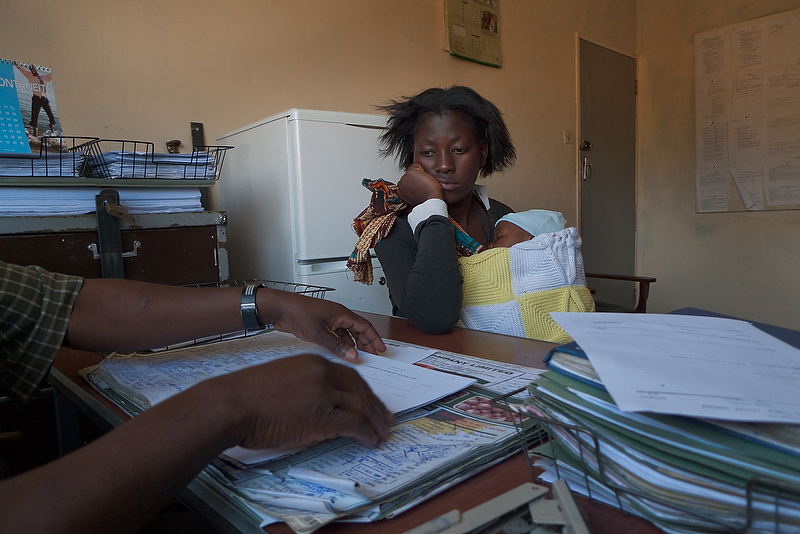 August 2009: Tasila Lungu, holding her four-month-old son Felix, applies for a child support order from Felix’s father with the help of a worker at the Chelstone court in Lusaka. Felix’s father is not currently involved in their lives. October 2009: Tasila Lungu carries her son, Felix across the yard in front of their family home on the outskirts of Lusaka. Ms. Lungu took a part-time job as a domestic worker to assist their family, but quit when she was unable to breastfeed Felix. October 2009: At home Tasila Lungu prepares porridge for Felix, 6 months old and weaned. Ms. Lungu faced the difficulties in weaning Felix in a society where it normally occurs when the child is eighteen months or older. 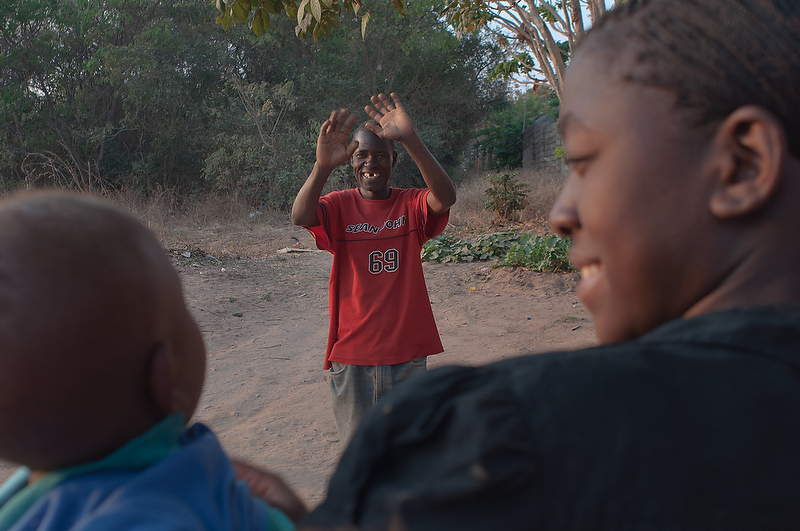 April 2010: Tasila Lungu talks to her one-year-old son, Felix, as she dresses him to go to the Chelstone Clinic in Lusaka for his second-last HIV test. Further HIV tests are needed to confirm his status. 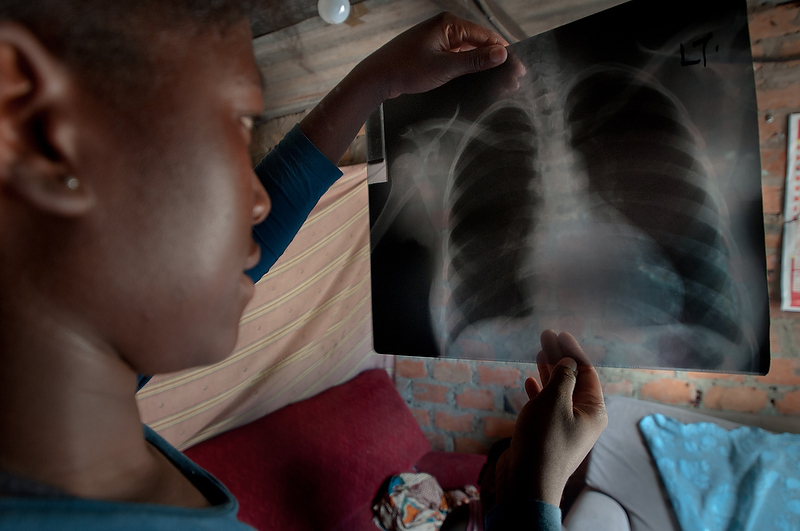 April 2010: Tasila Lungu examines her chest X-ray at home. It shows that Ms. Lungu still has signs of tuberculosis likely contracted because her immune system is weakened – she is taking ARVs as well as tuberculosis medication and her health is improving. 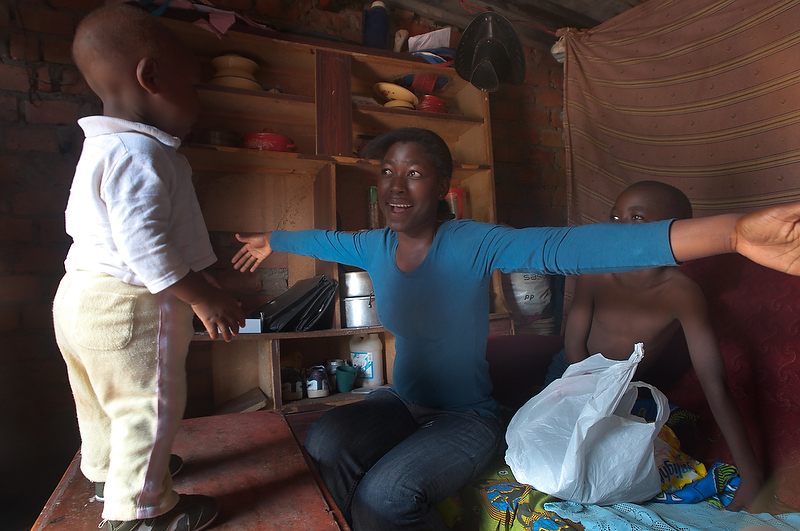 April 2010: Tasila Lungu plays with her one-year-old son, Felix, at home in Lusaka. Felix’s recent 12-month HIV test confirmed that he remains free of the virus. Felix was recently diagnosed with malaria but is recovering. 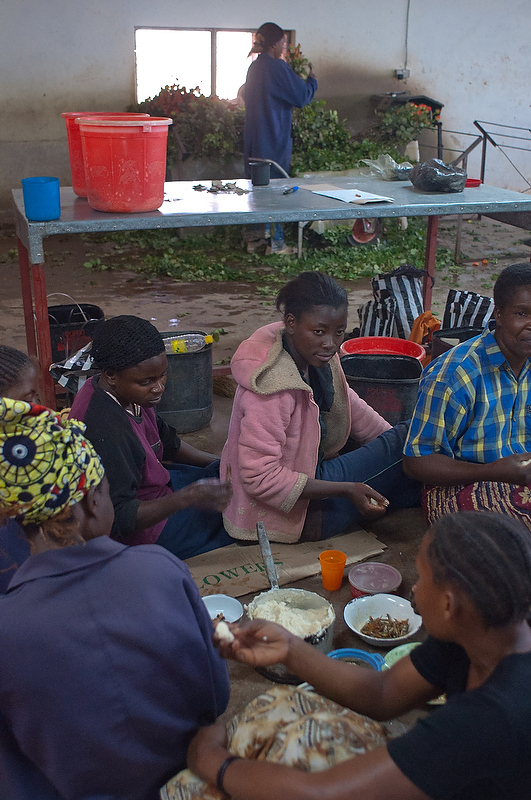 September 2010: Tasila Lungu takes a breakfast break with fellow workers at her job preparing roses for shipping at a flower farm, on the outskirts of Lusaka. Ms. Lungu rents a room close to her work with her fiancé, Nicholas. September 2010: Tasila Lungu’s father John Lungu greets Ms. Lungu and Felix on returning home from work. Unable to return to school, Ms. Lungu works on a flower farm to assist her family. Ms. Lungu’s parents care for Felix where she frequently visits. 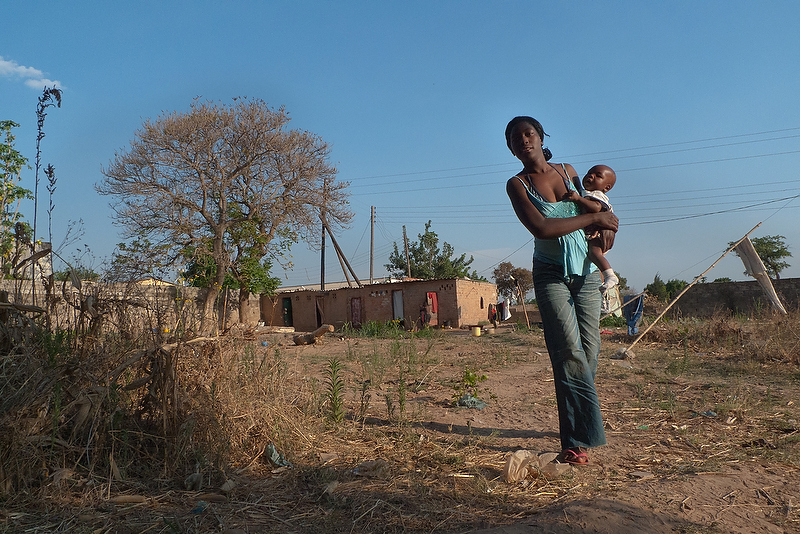 October 2010: Tasila Lungu smiles as she carries her 18-month-old son, Felix, from the Chelstone Clinic. Felix tested HIV-negative at 6 weeks and 12 months; this final test at 18 months confirms that he is free of the virus. 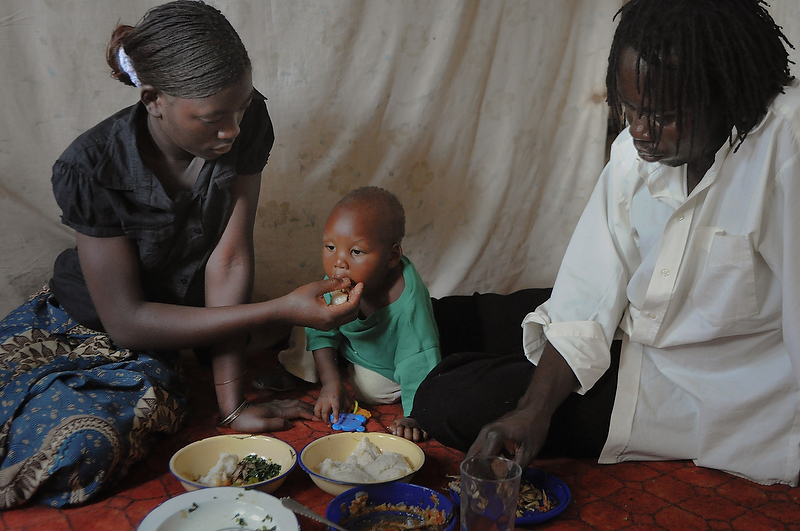 October 2010: Tasila Lungu, her 18-month-old son, Felix, and her fiancé, Nicholas, eat lunch in the room they rent in Lusaka. Felix’s father is not involved in their lives. 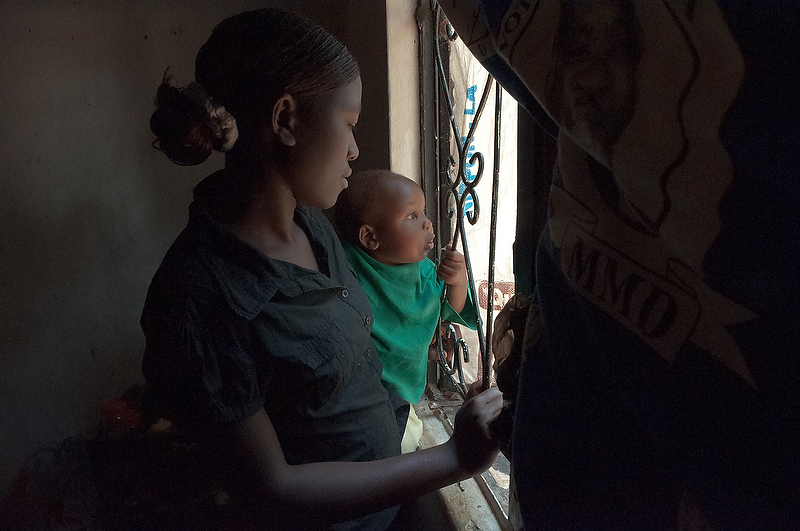 October 2010: Tasila Lungu looks at her son, Felix, at the window of the room she rents in Lusaka. Ms. Lungu remembers her initial emotional response to finding out she is pregnant and HIV-positive and feels guilty that she considered abortion. 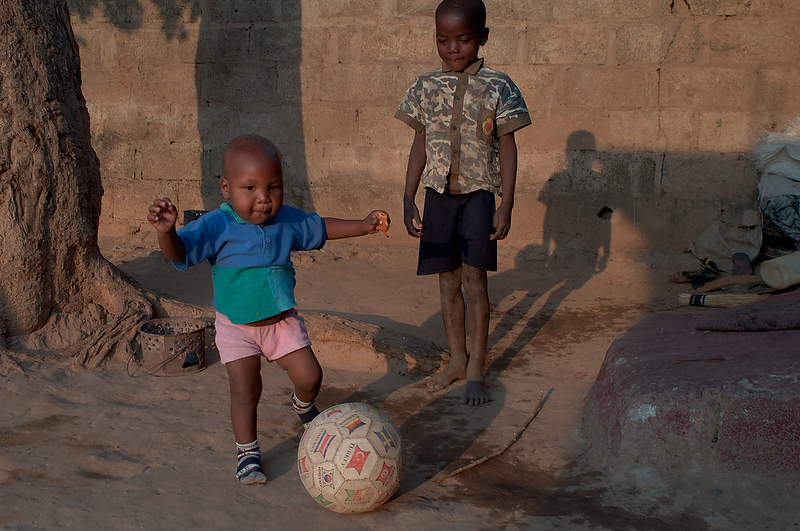 September 2010: Tasila Lungu’s eighteen-month-old son Felix plays with a football at the Lungu family home. Ms. Lungu and Felix successfully participated in a PMTCT programme starting during Ms. Lungu’s pregnancy and ending when Felix was 18 months old.